Have you ever seen birds of a feather actually flock together? Because it is quite a sight to see. 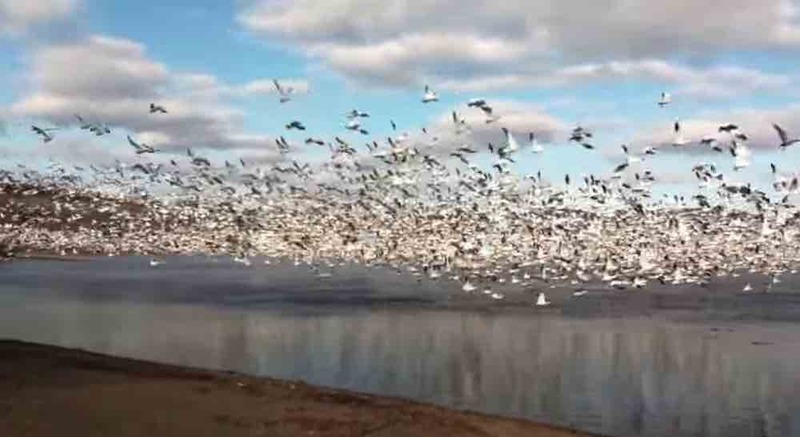 In a video published by YouTube user LazyriverGolden, 10,000 snow geese can be seen taking flight from the surface of Lake Massawippi in Ayer’s Cliff, Quebec. “This was actually a small group compared to what has been on the lake at other times,” says the YouTuber. If the footage isn’t breathtaking enough as it is, then the sound makes it even better.